Using the Vegetable Fund, Hort Innovation has invested in a project to coordinate the agrichemical needs of the Australian vegetable industry by finding the gaps in Australia’s access to the chemistry you need to maintain your productivity and protect your crops. This information is then used to help growers in a number of ways, including by directing R&D funding for crop protection purposes, like Hort Innovation’s permit renewal and registration projects. 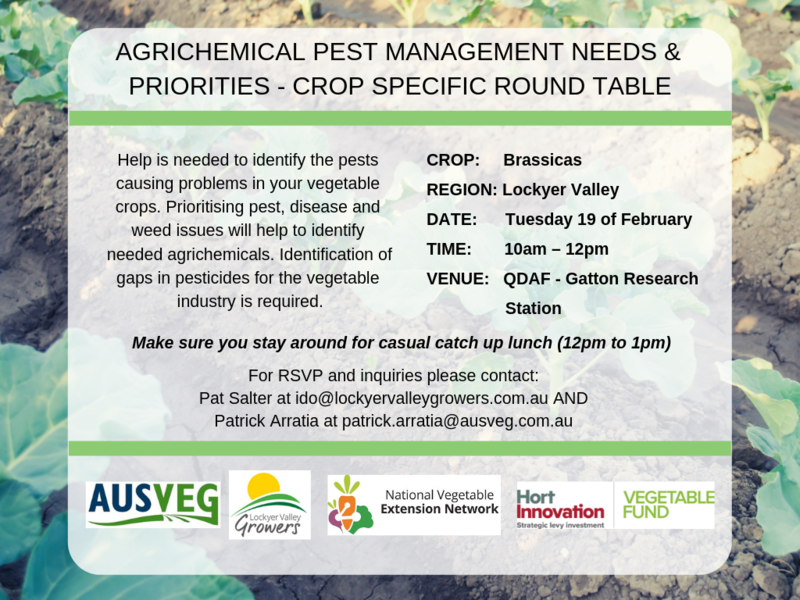 AUSVEG’s Patrick Arratia will be visiting south-east Queensland in late February to meet with brassica, lettuce and capsicum growers to talk about your pest, disease and weed issues. The information you give will be used to identify what agrichemicals you need and try and find solutions to fill these gaps. If you’re in the region and you grow those crops, Patrick is eager to hear from you! 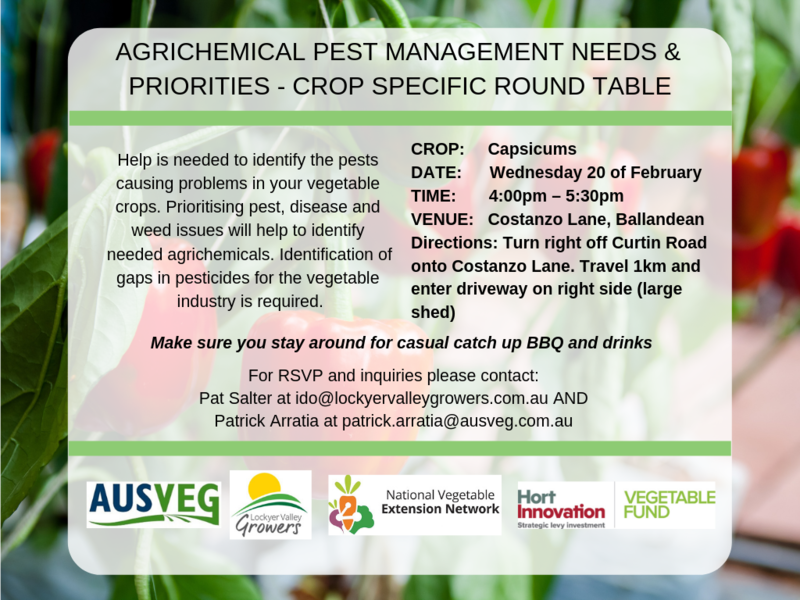 You can RSVP to Patrick on 0418 982 572, or at patrick.arratia@ausveg.com.au. 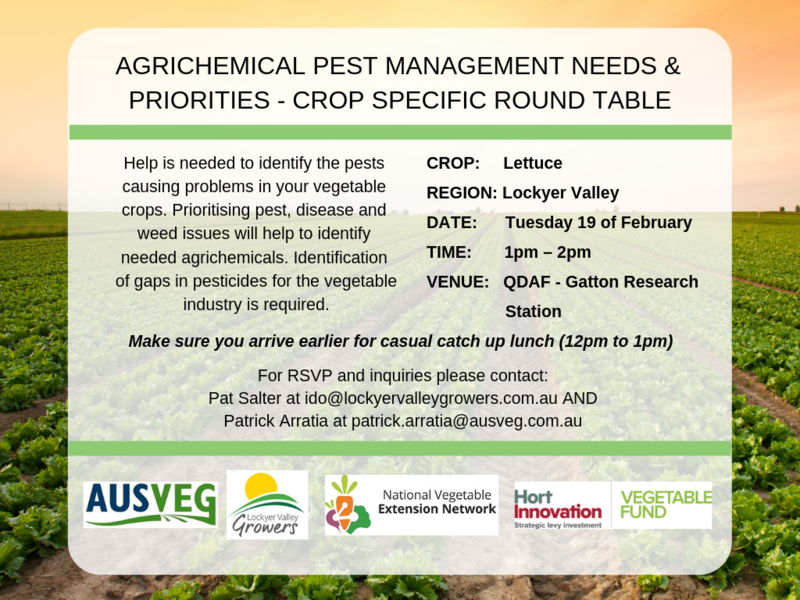 You can also RSVP to VegNET IDO Pat Salter at ido@lockyervalleygrowers.com.au. If you’re not in the region and would like to contribute to the project, you can take part in the National Pest Survey, which is also being used to inform Patrick’s work and helps the project identify the industry’s priority agrichemical needs for further action.